The main feature of this newsletter is the reports detailing the 2016 NZPF awards. All of us are grateful for the work many people do to keep our societies and clubs alive and active and the awards give Federation a chance to formally thank some of these people for the great work they do. These people were nominated by their clubs. If you know of someone who you think should be considered for an award let your club know and seek a nomination in 2017.Again there are reports on activities of a number of societies since the last newsletter. I believe these reports could give ideas for things your own clubs might do but it also acknowledges the efforts many people make to participate in, or publicise, our great hobby. The main feature of this newsletter is the reports detailing the 2016 NZPF awards. All of us are grateful for the work many people do to keep our societies and clubs alive and active and the awards give Federation a chance to formally thank some of these people for the great work they do. These people were nominated by their clubs. If you know of someone who you think should be considered for an award let your club know and seek a nomination in 2017. Again there are reports on activities of a number of societies since the last newsletter. I believe these reports could give ideas for things your own clubs might do but it also acknowledges the efforts many people make to participate in, or publicise, our great hobby. In the last newsletter I mentioned the strategic planning exercise carried out by the Royal Philatelic Society of NZ. It was indicated that I believed Federation should conduct a similar exercise and I am pleased that after discussion at our last meeting the executive committee agreed. This will take place over the coming twelve months and will include a special one-day Federation strategic planning meeting the day after our normal meeting next March. The planning will review past, present and possible future activities of Federation. Obviously this will cover a wide range of subjects. Some of these are already under discussion while others are well known to the executive. However, we are keen to get input from our members. Going around the country we often hear questions such as “What does Federation do?”. Well, what would you like us to be more involved with? At our next meeting in November the executive will be making further decisions about the strategic planning process and framing a range of questions we would like our members to answer. However, we will not know all the questions you think we should be asking. After the Annual General Meeting, Federation will be encouraging all of their members and individuals to comment or make submissions before the March strategic meeting. Everyone seems to have ideas – we need to hear or read them. I am keen for the executive to get out to societies and take opportunities to talk about Federation and seek input from society and club members. This will be particularly important as part of strategic planning. All of our clubs and societies have received a letter from the secretary advising that we would like all to be visited by an executive committee member. A list of the executive with a range of possible talks they could present was sent and I hope this will be followed up. At this time we have no planned New Zealand national exhibition for 2017 nor is there one planned for Australia (Melbourne 2017 is an FIAP international). I will be asking around to see if a society could hold a half national (one with limited exhibition classes such as Upper Hutt 2013 and Huttpex 2007). I will be discussing the subject with the Australian Philatelic Federation (APF) when I am in Adelaide early October. If we are able to hold an exhibition, APF has said they would be able to bring over at least 150 frames of exhibits. This would be a big boost to any exhibition that could be organised here. Our July meeting was the last for two of our executive. Barbara Streeter, Northern Region delegate, stepped down after being involved on and off for the last 40 or so years. During her last stint on the executive she provided us with very good reports of the philatelic goings on in the northern part of the country and this has set the bench mark for the rest of the delegates and her successor. Karen Jeffery is standing down after six years on the executive. This may be just a break and she may well return at some time in the future. Her input during her period on executive has been valued. I would like to thank both Barbara and Karen for their support and involvement of Federation and welcome their replacements Tim Beach from Auckland (who is coming back into the role once again) and Josh Black from Blenheim. Lastly, thanks for the positive comments I have received back about the Federation newsletter. I hope to catch up with many of you at the Christchurch Stamp and Postcard Show in November. Please make yourself known to me. Thank you for your nominations. At the July meeting of the executive committee the awards committee recommendations were considered and a number of awards were agreed. Over the ensuing months the recipients have received their awards from a member of the executive in front of fellow society members. Congratulations to all! The Waikato Philatelic Society nominated Robert for the many years he has worked in the cause of philately at club, regional, and national levels – as well as exhibitions.Robert is a member of a number philatelic organisations including Waikato Philatelic Society, Postal History Society of NZ, Royal Philatelic Society of NZ, Airmail Society of NZ, Postcard Society of NZ and the Rhodesia Study Circle in the UK.Robert has served on the Executives of the North Shore Philatelic Society and Postal History Society and is currently on the executive of the Waikato Philatelic Society (including 6 years as secretary, 2 years as vice-president, and stints as newsletter editor and librarian – a total of 17 years on the executive). He was one of the early Executive members of the Association of Northern Philatelic Societies and has also been both the Secretary and a society delegate. He was a Northern Region delegate on NZPF for 6 years and was a society delegate to the NZPF in the 1990s prior to the change in NZPF structure. Robert has exhibited successfully at New Zealand national exhibitions since Palmpex 82 and has exhibited extensively in Australia, Asia and Europe (including World and FIP exhibitions). He has regularly achieved Gold and Large Gold medals; his most recent medal was a Gold for ‘New Zealand Domestic Airmails 1919 – 1940’ at Hong Kong in 2015. Since 1986 Robert has had regular involvement with exhibitions in both New Zealand and Australia, including being Floor Manager and working in the Bin Room. 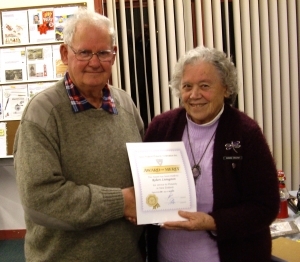 He is currently the Ambury Shield Interclub Competition Co-ordinator for the Waikato Philatelic Society. A National Judge since 1992 Robert also judges club and interclub competitions providing useful feedback for the exhibitors. 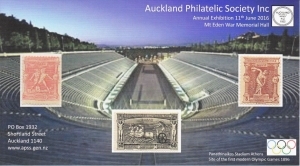 Robert was on the original Auckland Stamp Week committee, promoting philately in general. This included the production and sales of the very successful Glenbrook Vintage Railway miniature sheets that raised funds for both the Association of Northern Philatelic Societies and the Glenbrook Vintage Railway. He gives talks at societies throughout New Zealand, and mentors up and coming exhibitors. Robert is a very active researcher of early New Zealand air pioneers and has located extensive files of relevant information in various museums and libraries. His notes, while not published by himself, have been used in articles for specialist aviation societies’ journals (e.g. New Zealand Aviation Historical Society). The information can also be found in his exhibits, which are exhibited widely. Tim Beach was nominated by the Philatelic Youth Council of NZ (PYC).Tim is a member of various societies here in New Zealand and overseas. 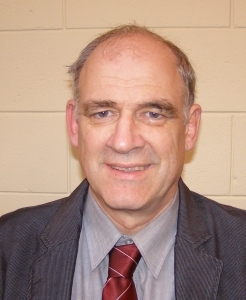 He was the Hall Manager at the NZ National Exhibition held on the North Shore of Auckland in 2005.Tim has been involved with the PYC executive committee from 1991 including a period as Treasurer (1992 and 1993) and was elected Chairman in 2012, a position he still holds. Tim attended his first Philatelic Youth Stamp Camp in 1987 as a youth and has been a Teaching Leader at various annual camps for the last 15 years. 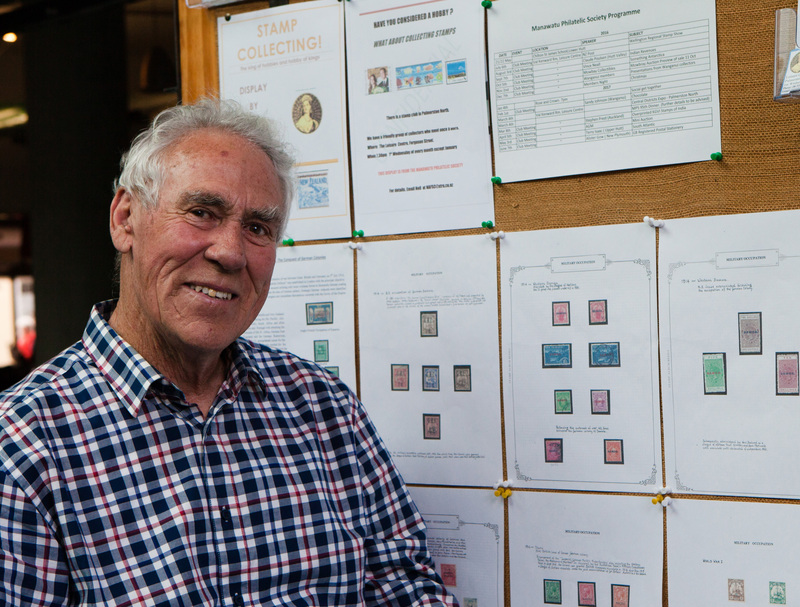 Tim has been Leader of the City of Sails Philatelic Youth Club, Auckland for the past 12 years. 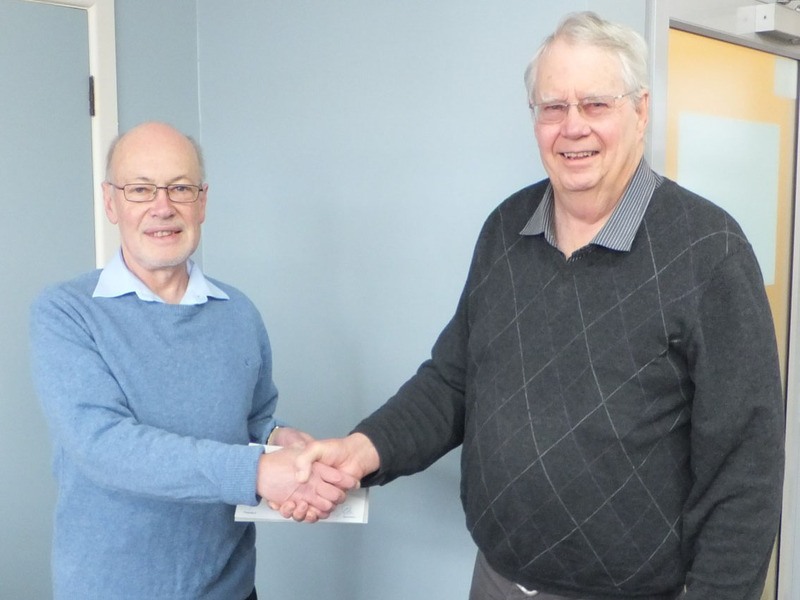 During 2009 and 2010 he held the position of Secretary of the Association of Northern Philatelic Societies, and was Northern Region delegate to NZPF. Tim has been an exhibitor over many years both as a youth and as an adult. He has also exhibited frequently at various clubs, regional exhibitions, NZ National Exhibitions and at overseas exhibitions. As a youth he exhibited at the Canadian “World Youth Exhibition” in 1992 and was awarded a Large Silver and Special Prize. He attended this show as a representative of PYC and spoke at the FIP Youth Commission’s Meeting about the PYC’s publication ‘Philatelic Guide’ which had then been recently released. He has been a judge at regional and national level exhibitions for many years and has been commissioner/judge at two Australian national exhibitions (2008 and 2016). Tim has been a frequent speaker over the years at philatelic gatherings throughout New Zealand talking about his philatelic exhibits, his collection of Post Office Box replicas or James Berry memorabilia and ephemera. In relation to Berry, Tim has conducted significant research and accumulated an extensive archive of Berry’s work and story. Terry Isaac recently stood down as treasurer for Federation and as Central Region delegate on the executive committee. Terry was not eligible for an NZPF award while he was a member of the executive committee and Federation believed it was appropriate for his contributions to be recognised now. 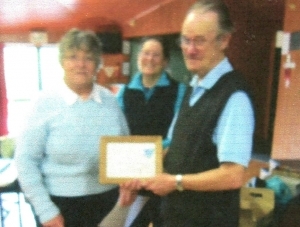 Terry joined the Upper Hutt Stamp Club’s committee and shortly thereafter in 2002 became secretary. He has been secretary and lately president of that club since then. In 2003 he was elected as a Central Region delegates on Federation – he was therefore standing down after 13 years on Federation’s executive. During that time he has contributed significantly to the running of Federation. In 2006 he was asked to take on the Federation Treasurer’s job. As treasurer he made significant contributions to the financial management of Federation. Examples include de-registering for GST and setting up of a separate Fletcher Cole Charitable Trust. De-registering for GST not only saved money (up to $1,000 per year) but greatly simplifying the accounts (a major issue for not-for-profit groups). Separating out the Fletcher-Cole Charitable Trust, later adding gifts for education/training purposes avoided tax on the income on money held in the Trust and also allowed Federation to make full direct use of its $1,000 not-for-profit rebate on the remaining interest! He began a revival in the annual competition in the Upper Hutt Stamp Club which in one year reached 16 entries across the classes, a very good effort given the size of the club. He first exhibited nationally at Tarapex 2008, his “Ascension Island”1 frame getting the novice award, and has exhibited regularly since then. To celebrate the 50th anniversary of the Upper Hutt Stamp Club Terry chaired the organising committee for Upper Hutt 2013 – a half-national philatelic exhibition. 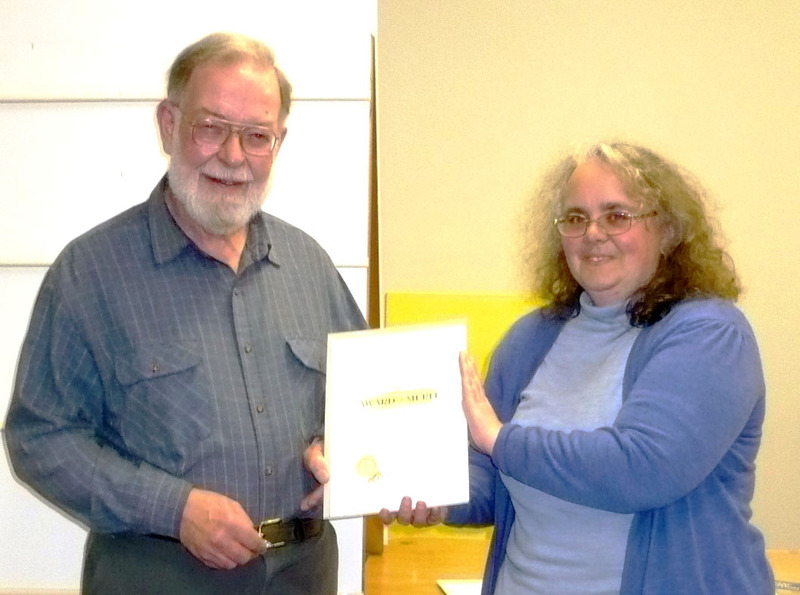 The Wellington Philatelic Society nominated Sue as they believed she has made, and continues to make, an outstanding contribution to the promotion, organisation and administration of philately in New Zealand. The following list of contributions and achievements was considered testament to her services in this regard.Sue has been a member of the executive for the society with but a small break of a few years since 2000, was membership secretary for a short period and editor of its newsletter for some four years.She has been Jury Secretary at four national exhibitions (Welpex 2003, Huttpex 2007, Tarapex 2008, Capital Stamp Show 2015) and was part of the small and very effective organising committee for the Capital Stamp Show 2015. Only good organisation and hard work enabled the committee to achieve such a successful outcome. She has helped at clinics for new exhibitors on two occasions and is very willing to assist individuals on a one-to-one basis and has given talks to many different clubs, both in the wider Wellington region, and in other parts of the country. She is a National Philatelic Judge and has recently become a National Philatelic Literature Judge. As a judge, Sue is a member of the Association of NZ Philatelic Judge (ANZPJ) and in that association she is Treasurer and Editor of their newsletter ‘Forum’ producing during her tenure a much improved journal which has helped to rejuvenate the group over that period. She has recently been appointed Liaison Officer for the ANZPJ to the NZ Philatelic Federation. She was the NZ Commissioner/Judge in Adelaide 2012 and has been appointed NZ Commissioner/Judge for Sharjah 2016. Her exhibiting has been very successful over the years culminating this year with an FIP Large Vermeil at New York 2016. 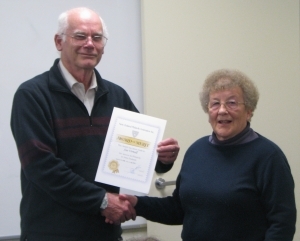 Hank Bertholet was nominated by the Whangarei Philatelic Society which advised Hank became their treasurer at the AGM in 1996, a position he has held ever since.Hank was treasurer for our Northpex National Exhibition in 2007 and played a very important role far beyond the usual responsibilities of a treasurer. He has assisted in all of the national exhibitions held in the top half of the North Island in his usual understated was with putting up and taking down exhibits.He has played a vital role in helping with the one-frame exhibitions that were held held in Whangarei for a number of years. His organising abilities, once more, are understated but are outstanding. Don is a well-known stamp dealer – he began dealing in stamps as a teenager in 1960, importing thematic stamps from the United Kingdom and supplying local bookshops. In 1968 in partnership he founded the Dunedin Stamp Centre – later became sole proprietor. It became one of New Zealand’s most well-known stamp dealers, regularly publishing the Dunedin Stamp Centre Price List.Don has been on the Executive of the New Stamp Dealers’ Association (NZSDA) since 1972. He served two terms as President 1980-81 and 1997-1998 and has also served as Treasurer and Vice President. He is currently NZSDA Liaison Officer for NZ Post – attending two meetings a year in Wellington at his own cost. 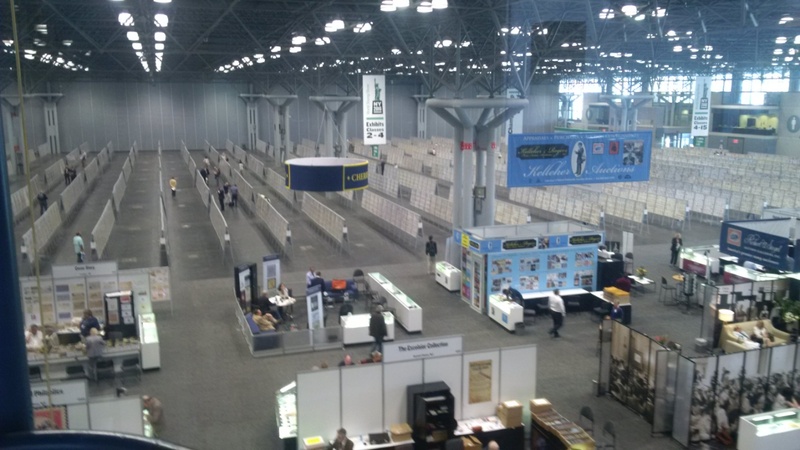 Don’s first stamp show as a dealer was in 1977 at PANPEX and he has attended most National exhibitions since then. He has an extensive collection of New Zealand Revenues and was awarded a Gold Medal at Tarapex 1986. 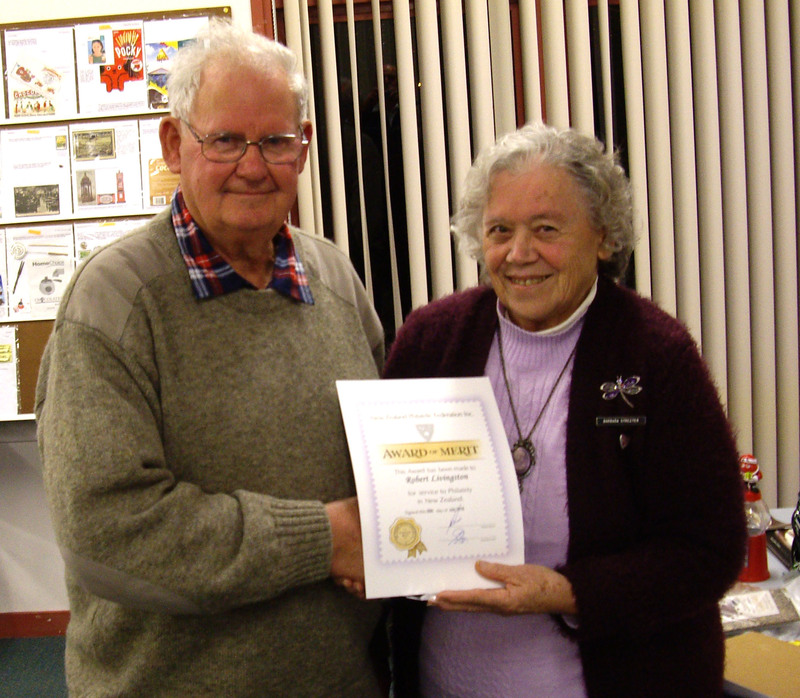 Don has been a long time member of Dunedin Philatelic Society and is a past President. A member of the Royal Philatelic Society of NZ he was a Vice President of that society from 1991 to 1997. 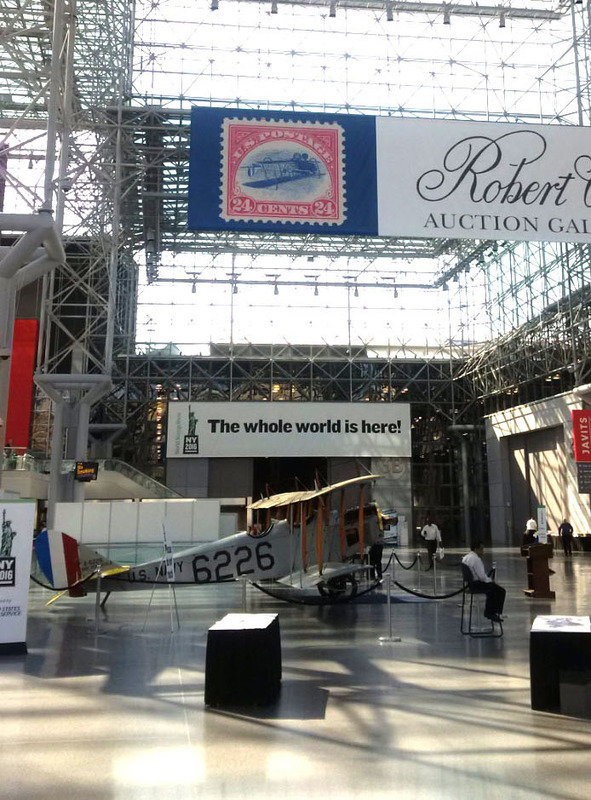 He has always been willing to help stamp collectors and exhibitors. 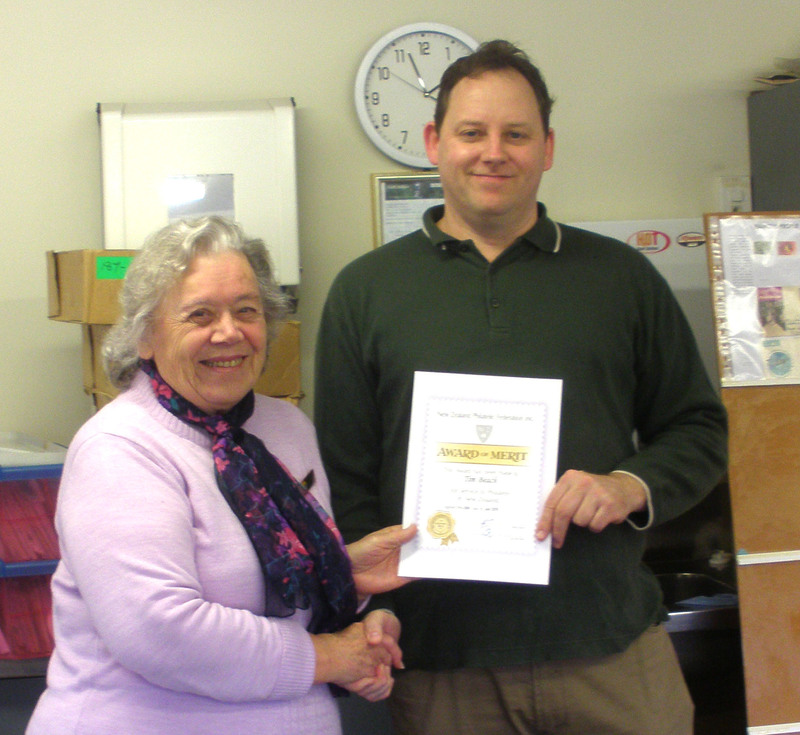 Lachlan was nominated by the Hutt Valley Philatelic Society. He has been with the Hutt Valley Junior Stamp Club (HVJSC) for seven years and has attended seven PYC National Stamp Camps. He has won awards in the HVJSC annual competitions, including the Overall Best Philatelist for the Year and the recently instituted Best Exhibitor trophy. 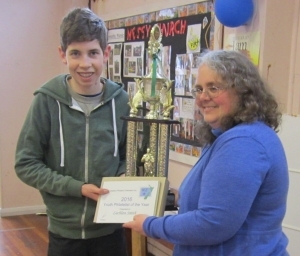 He has also won prizes, competing against adults, in the Hutt Valley’s annual competitions. His awards have included: 2014 – Upper Hutt Stamp Show, special prize; 2015 – Member of winning team in the Australasian Challenge for the Ed Druce Memorial Trophy; 2015 – Sydney, runner up Best Youth Exhibit; 2016 – Canberra, runner up Best Youth Exhibit. The Manawatu Philatelic Society forwarded the following report. “Pictured is Colin Dyer with Allied Occupation of Former German Colonies WWI, one of the displays the Manawatu Philatelic Society has mounted in the community bulletin boards area of the Palmerston North City Library. The idea for the display started with a wish to share, especially postal history presentations, with a larger audience than the monthly meetings. Displays change every five or six weeks and to date have included short half-frame, full frame exhibits, and groups of one-pagers, all as colour photocopies.“On the library’s side we have been well supported by Linda Moore and Kay Hall. From the philatelic side there have been displays this year from Neil Fenwick, Colin Dyer, Clace Schwabe and Tony Charleston. “We believe there is a potential to mount displays in line with events in the library which should gain more interest and wider publicity. The displays include the Manawatu Philatelic Society brochure and a publicity card for free pick-up. “Some library patrons have also left stamps on the display for whoever would like them. The above report was sent when the Manawatu President asked the Federation secretary if he could obtain some of Federation’s one-frame displays relating to flowers. They have the opportunity of displaying some stamps at a Rose Convention in Feilding later in November and he thought one of the exhibits may well be suitable for that purpose. The Whangarei Philatelic Society advises “the Stamp Fair was extremely successful with thanks to all our members who provided so much help. It is a long time since we have seen the hall so crowded and there is even two prospective members but will wait and see about them. We were pleased to see several children/teenagers enjoying the free stamps, must admit there were some not so young enjoying them as well. This show was held at the Mt Eden War Memorial Hall on June 11, and was a one day event this year rather than the two day show of previous years. The theme was Olympic Games and while this year was non-competitive there were 19 frames on display of Olympic Games material. These included displays of Moscow 1980, Berlin 1936 and Tokyo 1964 plus an display with a range of Olympic material from a set of the 1896 games in Athens through to the 1960s. Their normal well-produced Cinderella sheet this year (see below – free on entry) reflected the Olympic theme. There were nine dealers, mostly from the greater Auckland area, with a good range of stamps, covers and accessories available; and there was even a postcard dealer. Bruce Isted reported as follows. From 9-11 September 2016 about 42 members attended the NZ Postcard Society Annual Convention held in Wanganui (venue was at Heritage House). On Friday 9 about 31 people had an informal get-together at a local restaurant. Saturday 10 September was members only day which started at 9am, firstly with registration, morning tea and chit-chat. The President’s Welcome and housekeeping details were followed from 9.45am to midday with the focus on ‘Anything & Everything’. These were ten minute segments of talks, presentations and displays – 15 in total. From 1pm to 3.30pm we had a ‘Fun Element’ – 11 five minute presentations – members voting for the ‘Most Intriguing’ which resulted in prizes. The AGM was dealt with later in the day with efficiency and little fuss. In the evening (6.00-8.30pm) the majority of us attended an enjoyable buffet meal and drinks at The Grand Hotel. This provided another opportunity for plenty of chit-chat and card talk. Our guest speaker Dr Peter Gilderdale – who describes himself as an ‘historian’ of the postcard craze – gave a very interesting and amusing slideshow presentation in hotel’s function room. Sunday 11 September was the Collectables Fair Day. Members took advantage of the pre-public session (8.30am-10am) to acquire postcards for their collections from the vast stocks of five dealers. It was estimated that about 55 members of the public attended from 10am-4pm. Several valuations were done by NZ Postcard Society expert, Doug South. This national exhibition will be held 18-20 November 2016 and will feature a full range of philatelic exhibits plus postcards and other collectibles – nearly 5,000 pages of material in total.The theme of the exhibition is a centennial celebration of the founding of the Canterbury Aviation Company by Sir Henry Wigram, so aviation is the central theme of the exhibition. The venue is the Addington Event Centre, the same venue as the 2012 exhibition. This is the home of horse trotting and greyhound dog racing and is located at the Addington Raceway, 75 Jack Hinton Drive, Christchurch. There is plenty of free on-site parking and the public transport service frequently passes the venue. There are many motels close by in Lincoln Road and others nearby in the suburb of Riccarton. NZ Post is the exhibition’s official sponsor. They will have a central stand at the exhibition to provide for those wishing to purchase stamps and other products, or arrange for the daily cancellations to be applied to mail items. There will also be a number of stamp and postcard dealers, and various club meetings. Special events are planned for the Friday and Saturday evenings. Newsletters and further details about the exhibition can be found at the website www.cps.gen.nz and click on the CHCH2016 section on the left menu. This website also provides details of the full range of souvenirs available, most of them focussed on the aviation theme. David Loe, the NZPF Commissioner reported as follows. Two scenes showing most of the exhibit frames. There were a large number of invited displays elsewhere in the venue. The show was simply massive with 4500 frames; 100 odd dealers; and, 6 meetings consecutively going on for the 8 days of the exhibition. Actually it was almost overwhelming. I managed to view some of the traditional exhibits but not all of them. I didn’t get to all of the dealers, despite spending every day, all day at the show apart from one morning.I was totally worn out at the end of it. 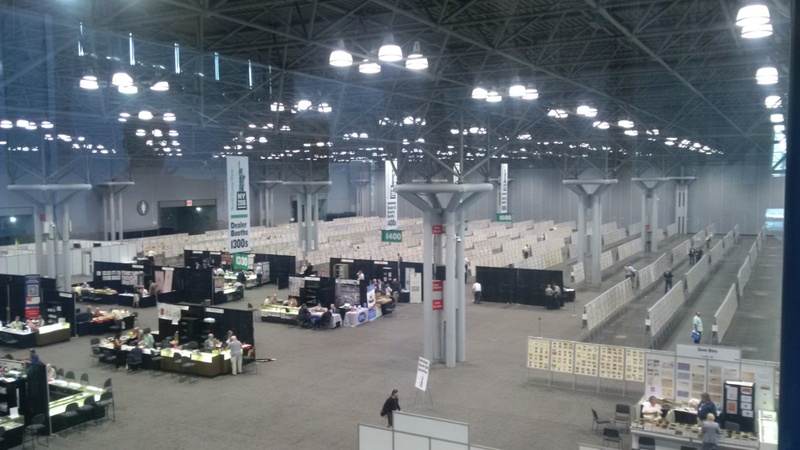 The show was 15 blocks from the hotel and the exhibition floor so large I walked miles every day. There were a large number of New Zealanders at the exhibition – perhaps 26 in all.The Royal Philatelic Society of London held a celebration of 148 years of philatelic and world events, one year and page at a time. New Zealand was well represented with at least four New Zealanders having a year each. 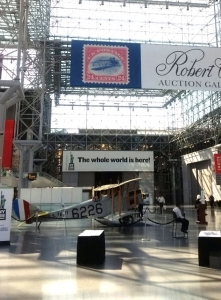 An original Flying Jenny was at the show – the aircraft and the stamp (auctioned at the show). Very cool! Through Jenny Banfield (NZ National Philatelic Trust), I arranged for NZ Post to donate Commissioner Room gifts. Those I received from other commissioners I have given to Warrick Wright to share among the juniors. Of particular note was that Warrick Wright received a special prize ‘Best of Youth Class’. Congratulations Warrick on a fine effort! Techtonics. 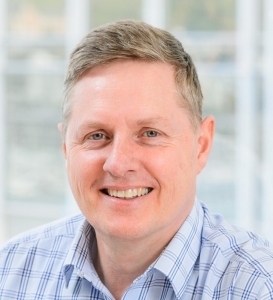 New CEO Paul McTaggart. While a relatively young philatelist, Paul has a wide range of philatelic interests from forces postal history through to traditional philately. He belongs to a number of philatelic societies including Royal Philatelic Society of NZ and Hutt Valley Philatelic Society in New Zealand while in the United Kingdom Forces Postal History Society, Great Britain Philatelic Society and New Zealand Society of Great Britain.His collecting covers Forces postal history (focusing on postal markings for 145th Brigade, 48th Division, British Expeditionary Force), specialised New Zealand (6d Chalon issues and 1946 Peace across issue and postal usage) and postal history (6d NZ to overseas rate, 1859 – 1891).He has authored a number of articles for the Forces Postal History Society and NAPE. Paul entered his first National Exhibition at Blenpex 2012 and has exhibited regularly since. He has been added to the NZPF Judges Register and is looking forward to his first apprenticeship at the Christchurch Stamp and Postcard Show 2016 in November. His interest in youth and PYC was engendered through support of his three daughters in the hobby. All three of whom exhibit, the two oldest having exhibited internationally while his youngest is well on the way to doing so.